Connel stands astride Loch Etive where it narrows on its approach to the Firth of Lorne and the open sea. The name comes from the Gaelic for rough water, the equivalent of today's name for the narrows: the Falls of Lora. A rocky shelf causes spectacular rapids here during parts of the tide cycle. These can be seen from either the village or the bridge. By the late 1600s a village had started to develop here to service the ferry that was in operation. 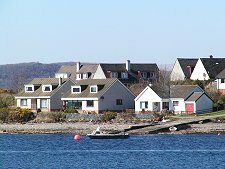 For many years the village was knows as Connel Ferry as a result. 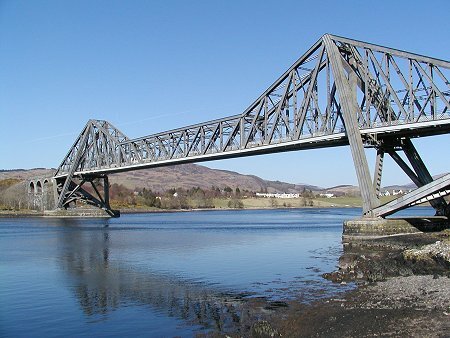 In 1880 Connel acquired a railway station on the newly opened Callander and Oban Railway; and it still has a rail service today linking Oban and Glasgow. Less successful was the branch line that was completed in 1903, linking the main line at Connel with Ballachulish. This survived only until the major cuts to the network in 1966. It did, however, leave a lasting legacy in the form of Connel Bridge, the striking steel structure that crosses the Falls of Lora here. 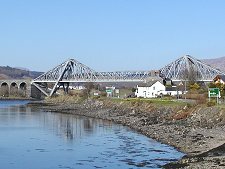 Connel Bridge has had an odd history. From soon after its construction road vehicles were sometimes carried across on a railway wagon. 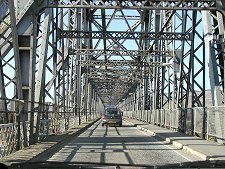 In 1914 it was converted to allow road vehicles to drive over it, and for the next 50 years the bridge was used by both road and rail traffic. This stopped with the closure of the Ballachulish Branch Railway in 1966, and since then the bridge has been used exclusively by road traffic, controlled through the narrow roadway by traffic lights. 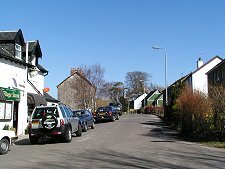 Connel itself is an attractive village. 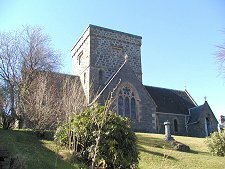 Apart from the bridge, the main landmarks are the large Falls of Lora Hotel, built in 1894, and the nearby St Oran's Church. 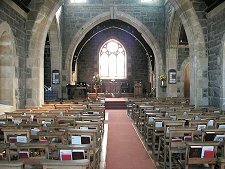 This was built in 1888 and offers visitors an attractive interior and a nice collection of stained glass windows. There are also good views of Loch Etive from the grounds. Near the north end of the bridge is North Connel, now bypassed by the main road. It is also home to Connel Airfield. This started life in the 1930s before being developed by the RAF during WWII. It is mainly used for training and leisure today, though efforts are under way to make more use of it as an airport for Oban. North again and the main road cuts across the low lying peninsula of Benderloch en route to Loch Creran. This offers some unexpected delights. Balcardine Castle overlooks Loch Creran on the north side of the peninsula and provides an interesting landmark. It is privately owned, but does open to visitors during three or four months in Summer. Beyond the castle a minor, and private, road leads across a short causeway to the Isle of Eriska. Here you will find the exclusive Isle of Eriska Hotel in a converted country house, possibly the only one in Scotland on its own private island. As the main road runs along the south side of Loch Creran you come to the Scottish Sea Life Sanctuary. This provides a fascinating - and weatherproof - day out and manages to combine entertainment with education.